Evelyn Jean (Crump) Fuqua 86, Sandusky, entered into eternal rest Monday morning, September 3, 2018 at her home, surrounded by her loving and devoted family. Sister Jean, affectionately known as "Gram" was born November 7, 1931 to the late Annie Mae (Terrell) and Walter Crump in Nashville, Tennessee. Gram attended Pearl High School in Nashville and was named the "Head Majorette". Education was a driving force in her life and she made sure her children took full advantage of every available educational opportunity. Evelyn Jean was baptized at a very young age by her father at the Ebenezer Baptist Church in Nashville and upon relocating to Sandusky she became a life-long faithful member of Ebenezer Baptist Church here in Sandusky, in 2013 she united with Harvest House M.B. Church, and later attended Eagles Nest Church. Gram was employed by New Departure Hyatt retiring after 36 years of service. Shopping and finding great bargains in every store she shopped in occupied a good part of her day. Gram loved to draw cartoon characters for her grandchildren and wrote beautiful spiritually based poems. Her love for people took her in another direction of volunteering in many organizations and serving as a driver and deliverer for the Meals on Wheels Program. Gram loved her family, friends and everyone she came in contact with but most of all she loved her Lord and Savior Jesus Christ. Gram was joined in holy matrimony with the love of her life, Lawrence Albert Fuqua Sr. on March 8, 1947 in Franklin, Tennessee and to that union they shared the joy of five loving children. This year Gram and (Lawrence) "Bubba" celebrated their seventy first (71st) wedding anniversary. 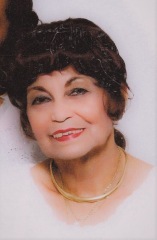 Lawrence Albert Sr. "Bubba", her only daughter who carried her name, Jeanne Yvonne (Cleveland "Danny") Palmer, four sons; Lawrence Albert Jr. "Larry" (Allean) Fuqua, Derrell Anthony (Carolyn) Fuqua, Brett Lamont (Pam) Fuqua,; Gram also leaves 16 very special grandchildren, oldest to youngest, Lori, whom she help to raise, Scott, Larry III, Denitra, Faruq, Kristina, Jeannie, Brett Jr., Brock, LaDonte, Derrielle, and step grandchildren, Charles and Jessicia; 16 great- grandchildren, 6 great-great-grandchildren, two adorable sisters; Louise Spencer and Betty Cole and a host of nieces, nephews, cousins, numerous other family members and friends. She was preceded in death by her son, Kevin Fuqua; and a grandson, Chris. Friends may call on Saturday, September 8, 2018 from 9:30 a.m. until the time of funeral service at 11:00 a.m. in Eagle Nest Church, 2126 Pipe Street Sandusky. Pastor Darrell Grant will officiate. Burial will follow in Meadow Green Memorial Park, Huron. Condolences and gifts of sympathy may be made to the family by visiting toftfuneralhome.com. Toft Funeral Home & Crematory 2001 Columbus Avenue Sandusky, is handling the arrangements.